Let’s be honest, busy has become the new normal (who here is guilty)? And with hectic schedules people want food at their fingertips. But not just any food … Today’s Millennial is a little more demanding (I mean that in the very best way possible). How so? Millennials are conscious consumers! Not only do they want food on the go, they also want to know where their food is sourced, what the health benefits are, and you better believe they want it to taste DAMN delicious! So how are food trends and the millennial buyer influencing what on-the-go options are available from leading mainstream fast food companies? Well luckily I had the opportunity to chat with Jamie Vadori, Jugo Juice’s Director of Marketing, who offered some insight in to how Jugo Juice is re-inventing its menu and keeping pace with customers' evolving tastes. I can’t forget about the Meet Your Matcha Smoothie (ps. It’s the official Calgary Marathon smoothie). You guys, this is actually my F A V O U R I T E smoothie at the moment! It contains blueberries, bananas and matcha green tea powder to give you the energy you need to get through the day. It contains only R E A L fruit (no added sugar and no artificial ingredient) and a nutritional boost of protein (that’s a must for me). Get it before it’s gone, you only have until June 13, 2018 (ahh the pressure)! One thing (among many) that Jugo Juice is doing a good job of is keeping up with the ‘free from’ way of eating. Let me explain, diets these days are very personal, people may exclude certain foods due to allergies, intolerances, preference, ethics or current trends (think plant-centric, keto and whole30). Which is why variety and customizable menu options are gaining a lot of popularity! No longer do you have to compromise your diet because you’re hustling! Jugo Juice makes this possible by allowing you to customize your smoothie (& boosting it with all those wellthy superfoods) and when it comes to the new food offerings, Jugo Juice has done an amazing job of re-creating classic flavours but giving them their own tasty twist (flavour will not be compromised people)! They’ve even added artisan breads that are free of preservatives from Ace Bakery. Moral of the story, millennials want a lot but they don’t want to compromise time (every second counts) and they want it easy (food at your fingertips). Oh and since the millennial is a thoughtful and curious foodie, these new menu additions will tickle their taste buds. 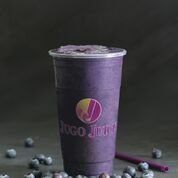 So next time you’re in a crunch but still want a nourishing nutrient dense meal, Jugo Juice may be the perfect choice!